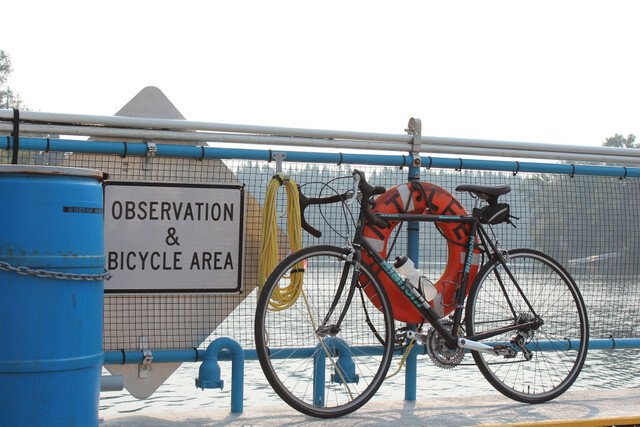 Ride your bike, ride a ferry and even ride an elevator, all in this classic route through some of the best areas of Mt. Hood Territory. 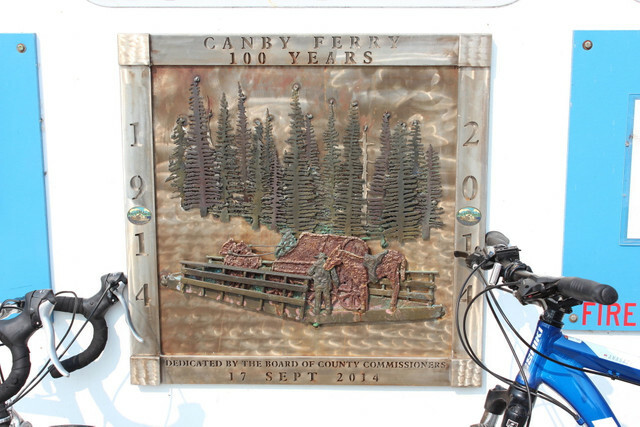 # Canby Ferry Loop River-crossings, elevators and ferries, oh my! 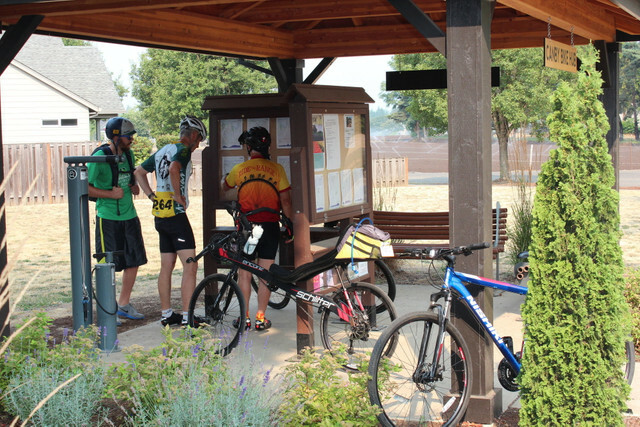 This 20.6 mile historical loop shuttles you through rural landscapes, river crossings, as well as taking you through the first ever incorporated city west of the Rocky Mountains. 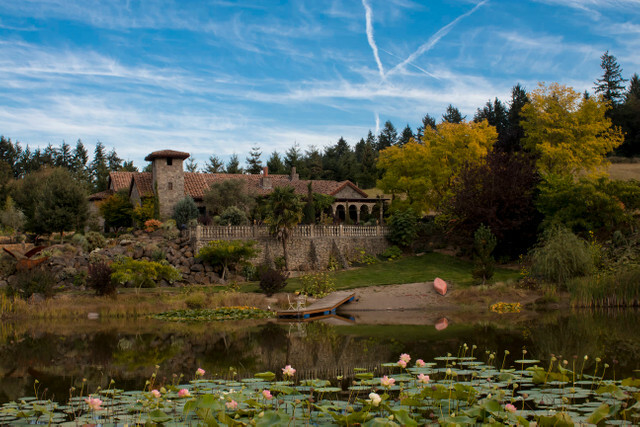 Oregon City, famous for being the "End of the Oregon Trail", is rich in Pacific Northwest history. 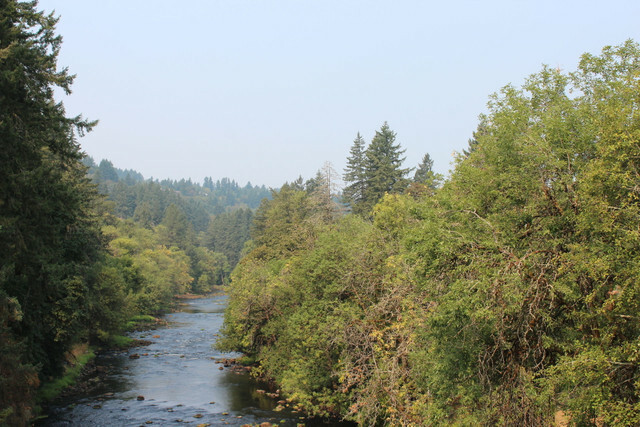 It was the birthplace of Portland's name (originally called "The Clearing"), as well as the only U.S. federal seat of governance for anyone wanting to incorporate their cities (yes, you too San Francisco). 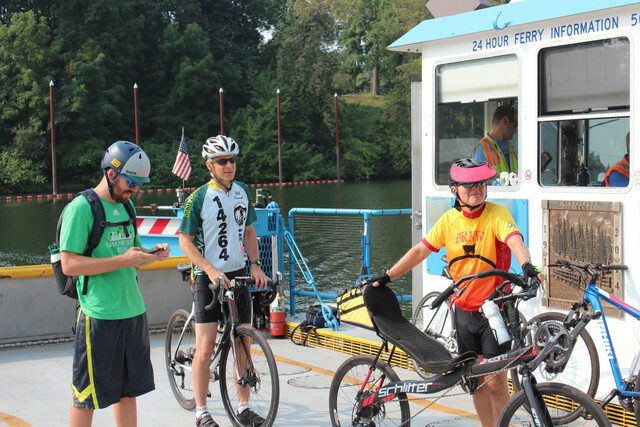 Start your ride (**with at least [$2 cash](https://www.clackamas.us/roads/ferry.html)**) at Willamette Park in West Linn, just down the hill from its quaint downtown area (You'll want to grab a beer here afterward). 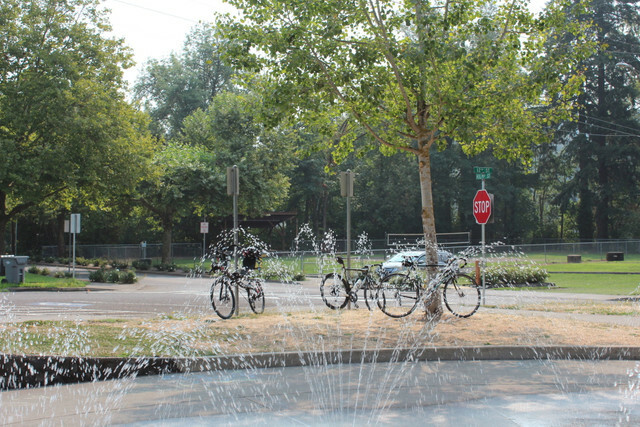 [Willamette Park](https://westlinnoregon.gov/parksrec/willamette-park) sits on the Willamette River and has plenty of parking, restrooms as well as water to fill up on before heading out on your ride. 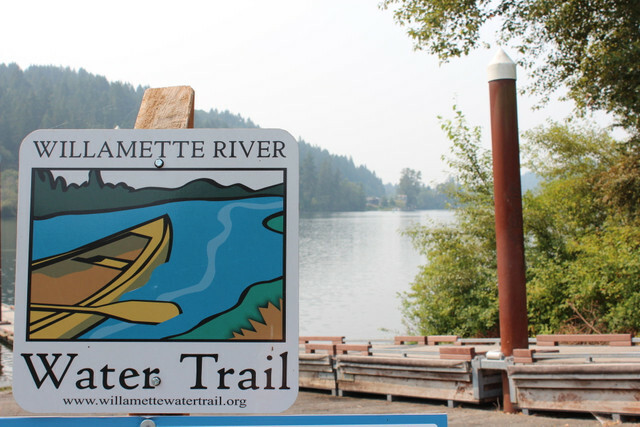 From here you'll have the option of heading west on Volpp Street or go straight north on 12th street to get up to Willamette Falls Drive. *12th street is a bit steeper*. 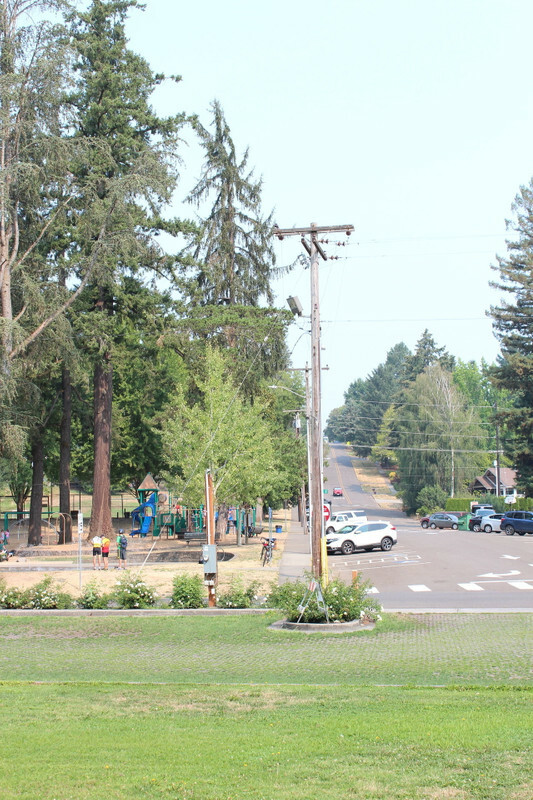 Once you take a right on Willamette Falls Dr, space can be narrow leading out of the downtown area, so feel free to jump on the frontage road that parallel's Willamette Falls Dr. 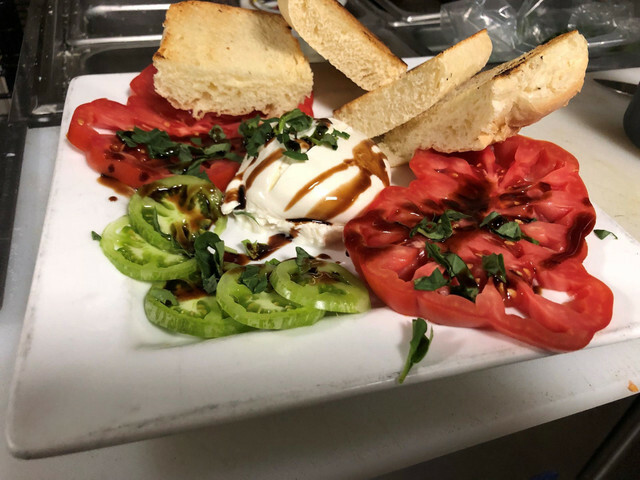 This can be accessed by taking a right on 10th street then a quick left. 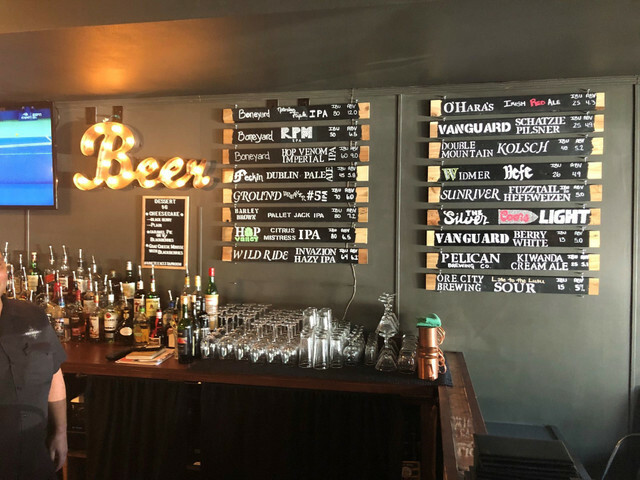 At 6th street you'll join back with Willamette Falls Dr as you follow the Willamette River from above towards Oregon City. 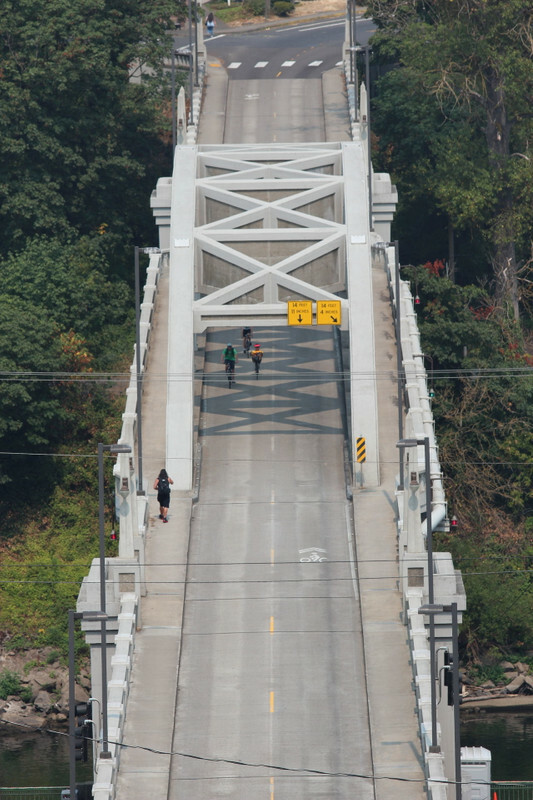 You'll start heading downhill and will join with route 43 as you cross the Arch Bridge- built in 1922 and listed in the National Register of Historic Places. 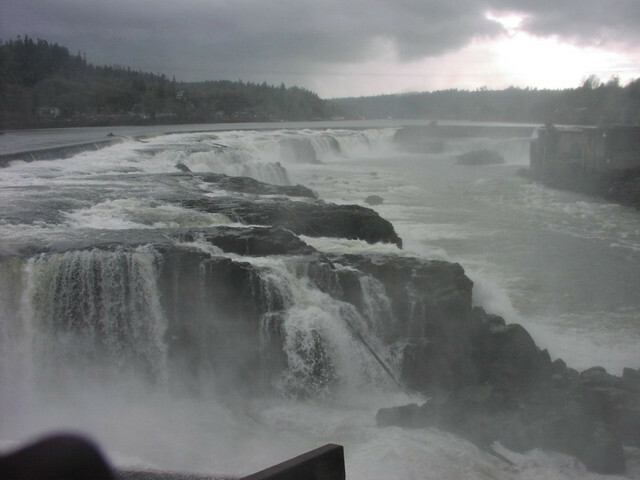 As you cross the @poi[Arch Bridge](8200965) look to your right to take in views of @poi[Willamette Falls](8200965), the second largest waterfall by volume in the US. 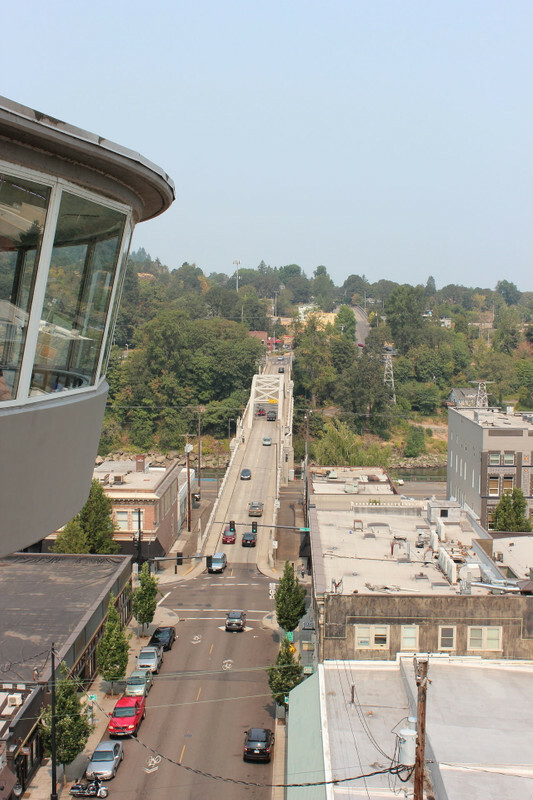 Head straight into [Downtown Oregon City](https://www.downtownoregoncity.org/) and continue through the light towards the @poi[Municipal Elevator](8200964). 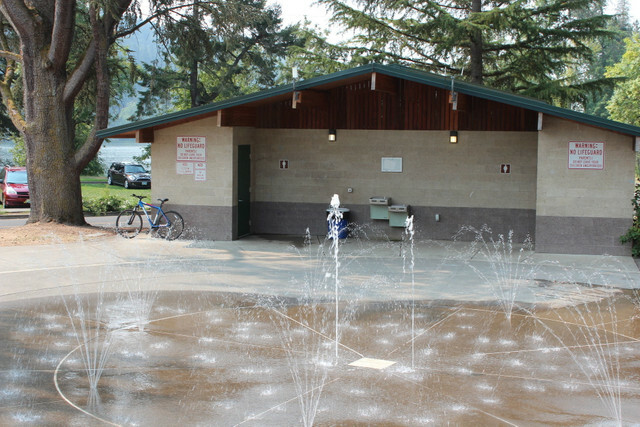 Originally built in 1913, it has undergone two upgrades, as well as going from water-powered (which when it ran, locals would notice a steep drop in their water pressure!) to electric. Cross Railroad Avenue and be sure to walk your bike down the covered ramp to the elevator, where you'll be greeted by an elevator operator who will take you up to the top and answer any questions you may have on the history and current status of the only "vertical street" in North America. 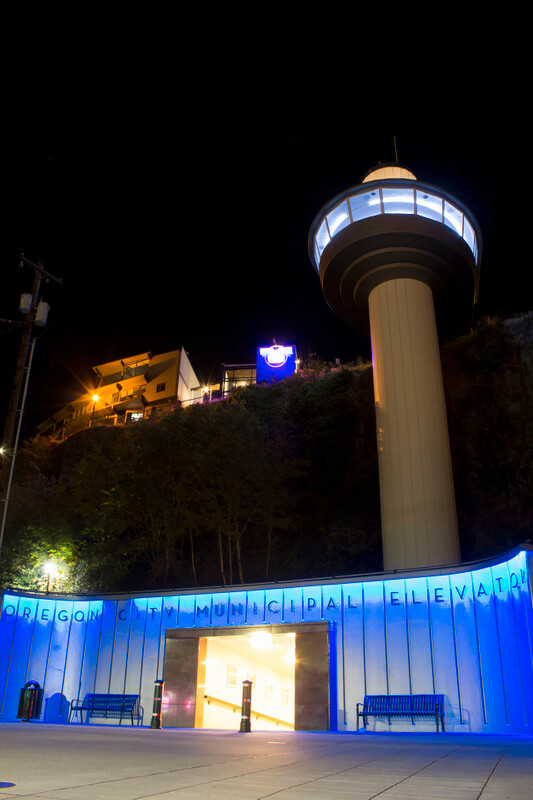 (for more information on the history of the elevator as well as more historical stops in the county, visit the [Mt. 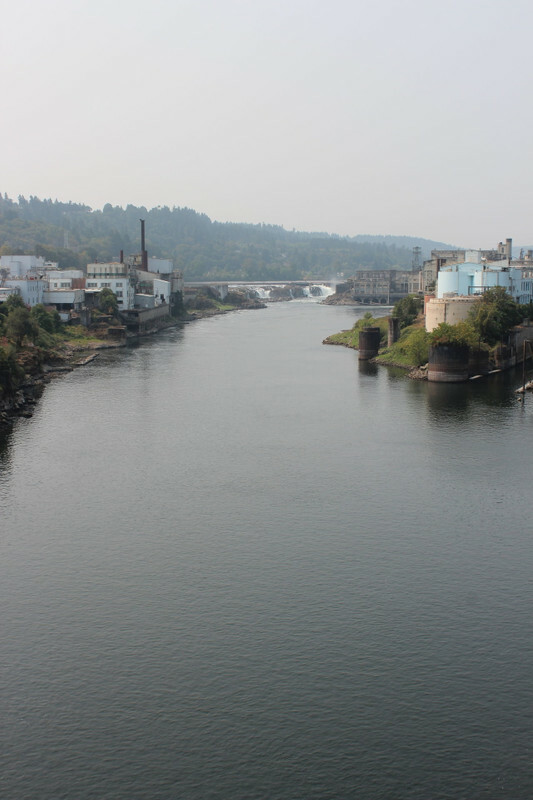 Hood Territory Heritage Trail](https://omht.oncell.com/en/index.html) or download the [app](https://www.mthoodterritory.com/explorer-trails/heritage-trail)) Once you exit the top, you'll be rewarded with beautiful views of the Arch Bridge as well as the Willamette River and Downtown Oregon City. 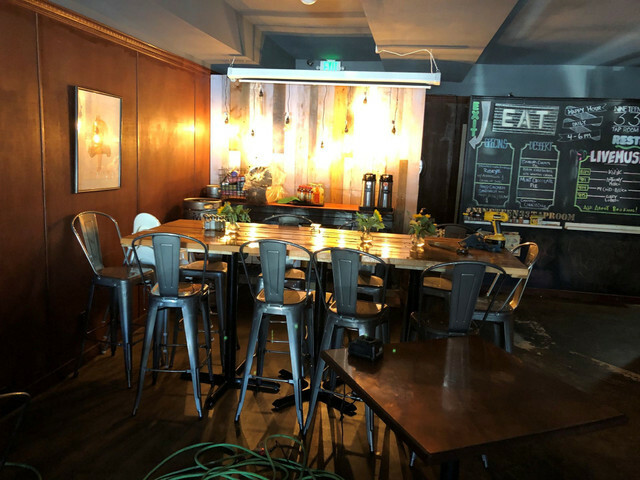 Exiting the elevator, take a right on the pedestrian path to 6th street, and after a quick turn on High street, you can start your first climb up 5th street to the top of the hill, just past Singer Creek Park. 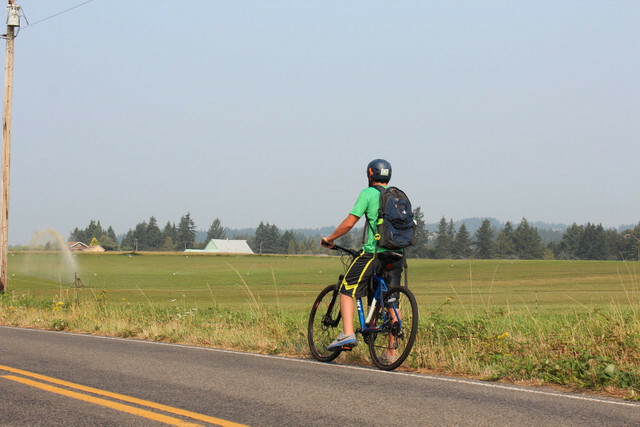 Here you enter suburban Oregon City, but just as quickly as you summit the first major hill on this ride, you'll head SW on S. Central Point Road and quickly head out of town again. Houses start to become more sparce, slowly taken over by rolling farmland. Bomb down S. Central Point Road before making up that negative elevation by heading back uphill towards S. New Era Road. 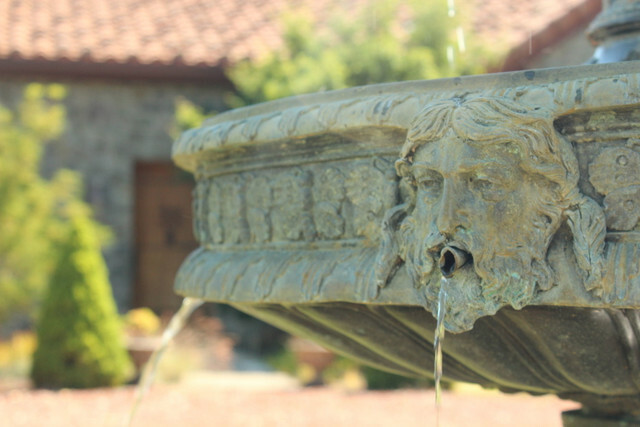 At this point you're almost at the halfway mark, so if you're thirsty and it's Saturday, head in to @poi[Villa Catalana Cellars](8318727), a can't miss winery set in an old European-style castle with the tasting room/conservatory filled with rare, tropical plants. Head west on S. New Era Road (yes, I know that sounds weird) until it actually starts heading south, parallel to Hwy 99. 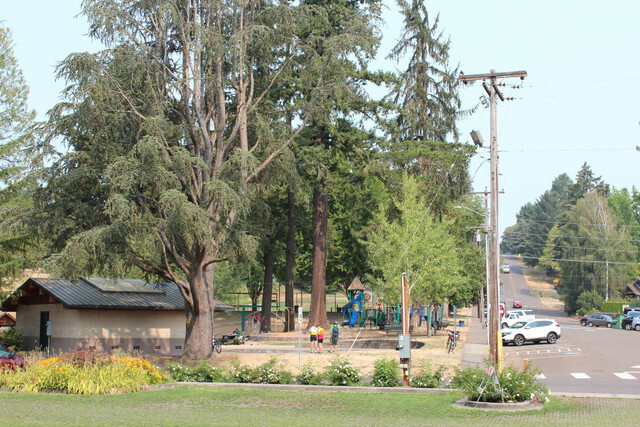 S. New Era will turn into Haines, which will lead you to SE Territorial- your gateway into Canby and the Canby Ferry. Stay on Territorial for about two miles before taking a right on Holly Street. 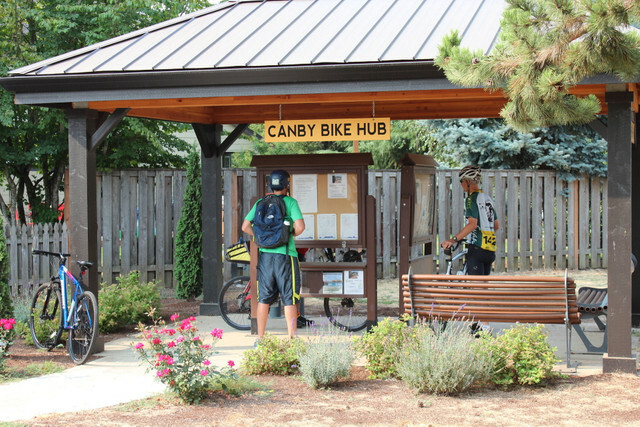 Be sure to stop at the @poi[Canby Bike Hub](8200966), located on the SW corner of Territorial and Holly street, where there's a Dero bike pump and fixit station, as well as kiosks with curated routes in the area (you know, to plan for your next ride). 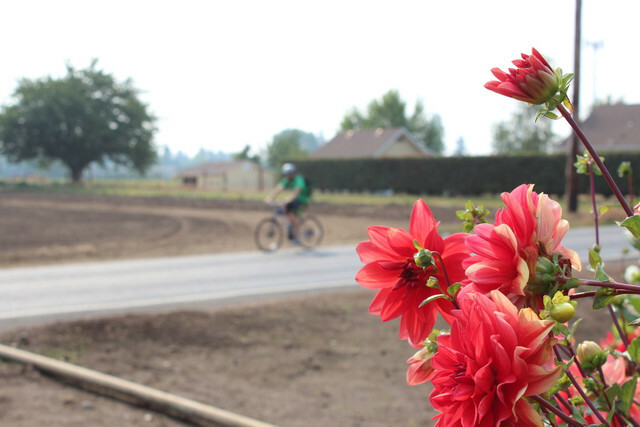 Heading north on Holly Street, you'll see signs for the Canby Ferry while you pass fields of Dahlia's and local agriculture. 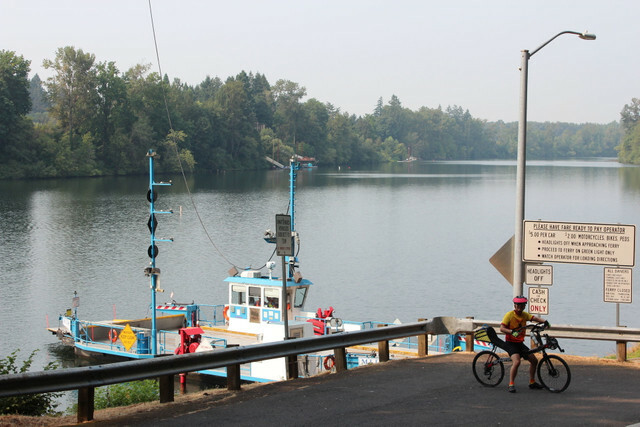 Head down the ramp (once the light turns green, indicating it's safe to go) to board the @poi[Historic Canby Ferry](8200963), celebrating over @photo[100 years](4156831) of service. On the other side, begin a steep .2 mile climb up Southwest Mountain Road before leveling out and taking a right on Hoffman Road at mile 16. A slight uphill as the road bears right then sends you downhill again before a sharp left puts you on Pete's Mountain Road and your final 2.2 hilly climb up to the apex of Pete's Mountain. 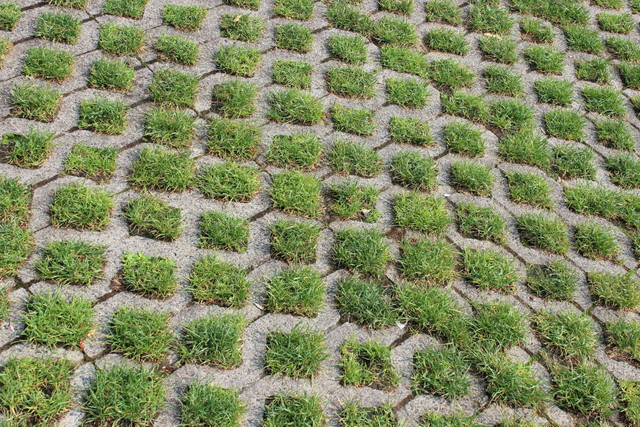 You'll sweat. You'll be breathing heavy. You may even curse. 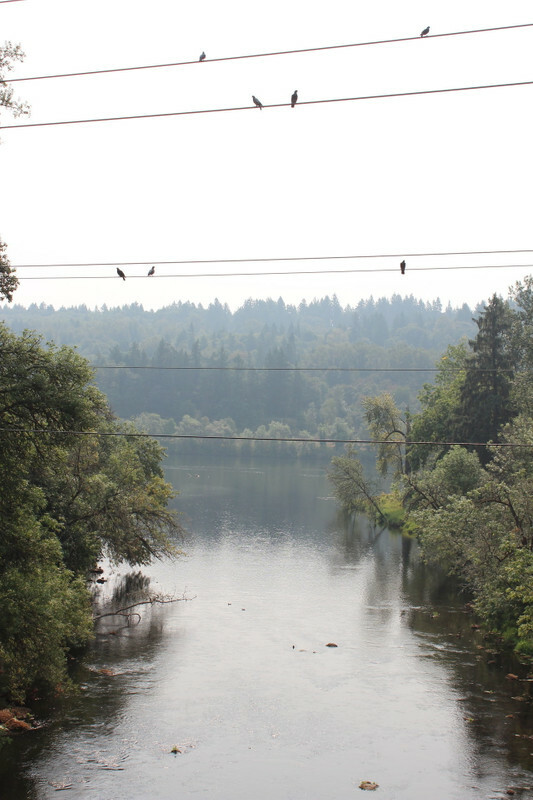 But if you do find yourself stopping either to catch your breath or rest at the top, make sure to look around you as you'll be rewarded with views of the Tualatin River, Mt. Hood and expansive scenery in every direction. So there it is. 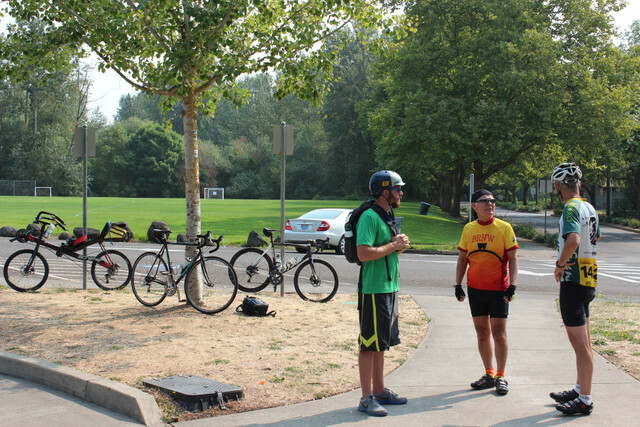 You've done 1,700' in elevation and 19 miles at this point. 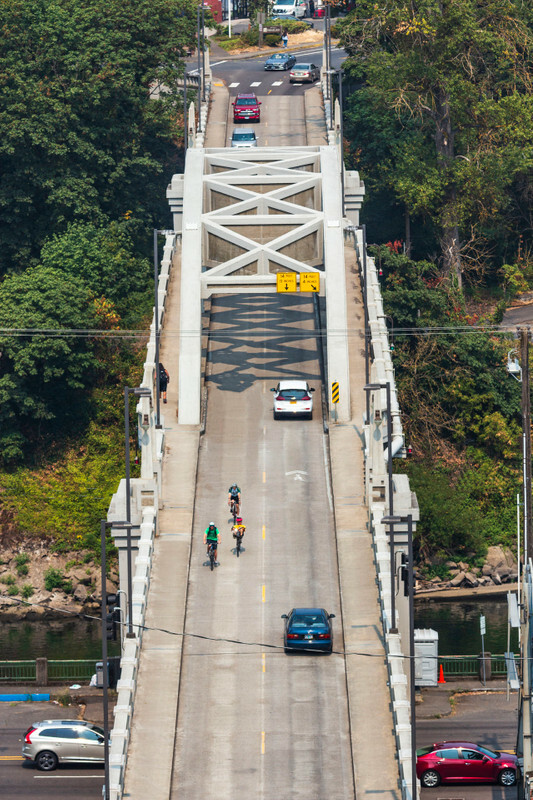 Reward yourself with a final bomb down Pete's Mountain Road on into West Linn, taking a quick right back into Willamette Park just after crossing the Tualatin River. Pack it up and head home. 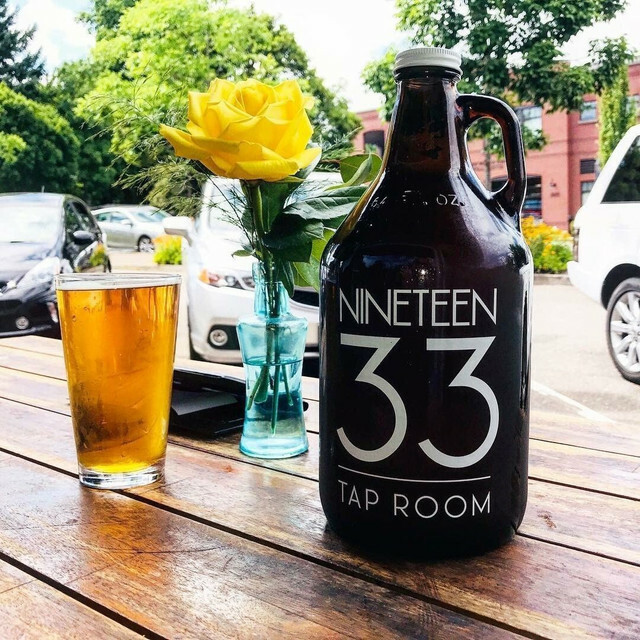 Or... head back up to downtown West Linn and treat yourself to over 33 beers and ciders on tap, as well as cocktails and live music at @poi[Nineteen33](8318728). 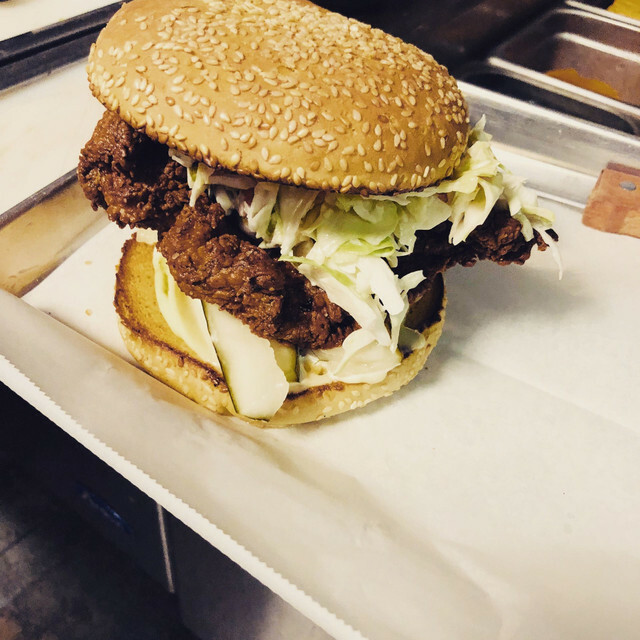 Go ahead, you've earned it. Mt. 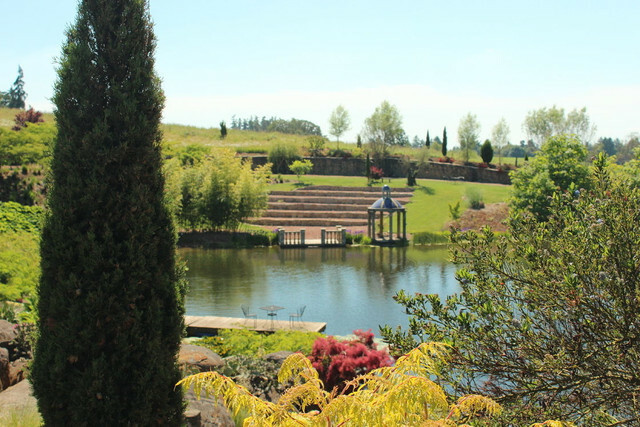 Hood Territory would love your help bringing this route to a wider audience.